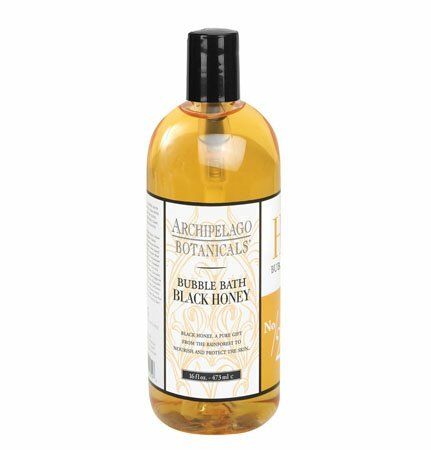 Archipelago Black Honey Bubble Bath uses dark honey from the rain forest to naturally soften and moisturize. Soothes and restores skin with a blend of honey and natural plant extracts. Relax in a luxurious bubble bath with a light refreshing scent. Paraben and sulfate free. Made in USA. 16 fl oz., 473ml.